Why are there Elves at Christmas? The world since 2004 had really grown quite small for Mark and Sherri Weeks of Olathe. It was that year that their son Sam - only an eighth grade student at Frontier Trail at the time - was diagnosed with osteosarcoma, a rare form of bone cancer. The discovery came out of the blue. “Mark and Sam were wrestling on the floor, and when Mark pressed on Sam’s lower leg, he yelled,” Sherri said. “I said, ‘How long have you had this?’” Sherri recalled. Of course, like most of us with bumps and contusions, Sam couldn’t recall how long he had had the lump and hadn’t given it much thought. After all, Sam was a robust young man who appeared the picture of health. Still, the discovery warranted a doctor’s visit, and after a battery of tests, the cancer was diagnosed. As is often the case with cancer therapy, the following few years yielded both optimism and heartbreak. By October of 2008, Sam had so much chemotherapy that he was beginning to develop other illnesses related more to the treatment that the cancer itself. That’s when the Elves became involved. Most of Sam’s treatments had been at Children’s Mercy Hospital in Kansas City, Mo., and an Elf familiar with the case contacted Chief Elf, who got in touch with Sam’s family. When asked about Sam, his interests and likes, Sherri didn’t have to ponder. “He was a country boy living in the city,” she said. “He loved hunting and fishing, and he loved trucks. Sam’s love of the outdoors was sparked by visits to Mark’s hometown of Hoisington, Kan. It was there that Sam developed his love of everything country. “He had a very, very old truck at that time, and Chief Elf asked if he wanted a new one,” Sherri said. It was determined that the perfect gift for Sam might be a new truck that somehow sported an overt K-State theme. Armed with just that much information, a plan was hatched: A tricked-out truck would be delivered to Sam on Christmas Eve – without him being aware of the event. Chief Elf secured a truck through a car dealer elf and asked Kim (the former Elf recipient, now Elf) to deliver it to a customized truck and equipment company in Independence, Mo., for – what else – customizing. But it was about to become a young man’s dream truck, as another Elf canvassed the city in search of K-State truck accessories. Meanwhile, the truck customizers were performing their magic. They raised the truck, added custom wheels and tires and added the provided K-State accessories. Sherri called the extended family together for a surprise Christmas Eve celebration. More than 25 attended, including Sam’s grandparents and his girlfriend Kelly. Imagine the shock Sam got when the truck arrived and it was presented by the K-State Krazy Kats Drill Team girls. Kelly exclaimed, "that's so Sam", as she looked over the truck. “He loved it,” Sherri said. And when asked, added that she was certain Sam appreciated the Krazy Kats as well. Totally awesome? You bet. But the Elves weren’t finished yet. When told of Sam’s love of outdoor sports, another Elf – Elf 3 - provided Sam with a custom, limited-edition shotgun and a trip for him, his brother Dan and his father Mark, to the Spangler Lodge hunting camp in Clinton, Mo. There was a remarkable coincidence involved with the hunt and gun. It was while on that hunting trip, that Mark took a phone call from Sherri. Great news: a bone marrow donor had been matched with Sam. Sam got the transplant in January 2009. “And it took,” Sherri said. Unfortunately, a minor infection wiped out the benefits, and Sam underwent a second transplant with little long-term success. Sadly, Sam died April 19, 2009. At the funeral was a photo album prepared by Elf 3. “I took pictures during the hunt and I made up an album for the family,” Elf 3 said. “It was called ‘Take ‘Em: The Weeks Boys,’” a testament to the successful hunt. As with all tragedy, a light still shines. 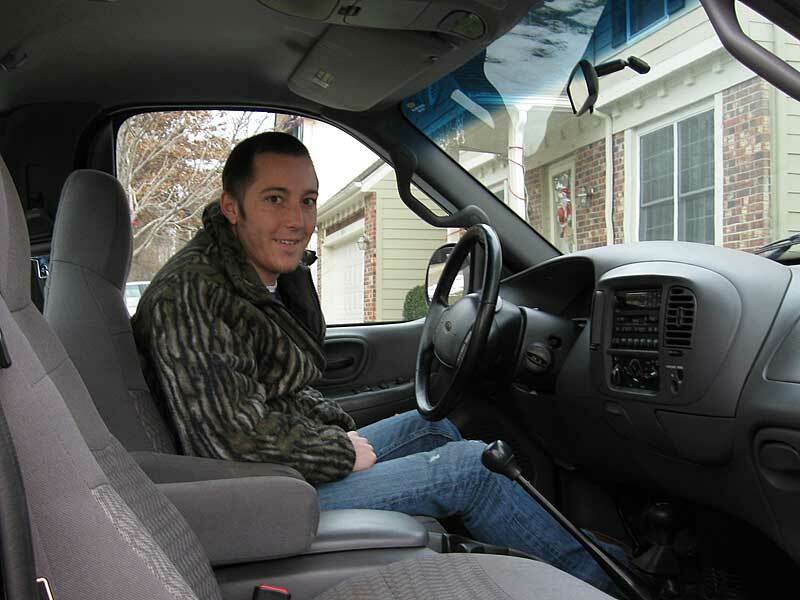 Sam’s brother Dan is driving the truck and Sherri and Mark want to follow in such footsteps as Kim and others. “We’ve told them we want to be Elves,” she said. “So hopefully, we’ll get a call from them. And that, my friend, is why there are Elves at Christmas.